I have a confession to make. I have never read a word nor watched a second of anything Harry Potter. Nada. It's like Greek to me. But my daughter insisted I do a Harry Potter mani for Geek Week. So I put her in charge. She curated the colors from my stash, gave me instructions and I went to work...no questions asked. The result? 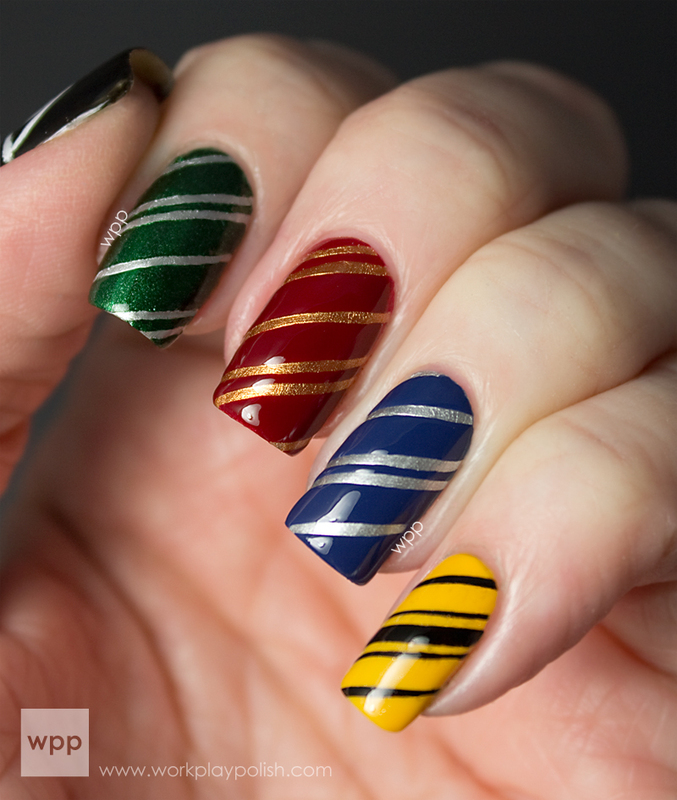 A Harry Potter mani in the colors of the four Houses of Hogwarts. I painted the lighter color first and taped off the stripes with striping tape. Then followed with the darker color and immediately removed the tape for crisp lines. The Deathly Hallows symbol on the thumb was done with striping tape and a little freehand in Essie Licorice and Zoya Purity. 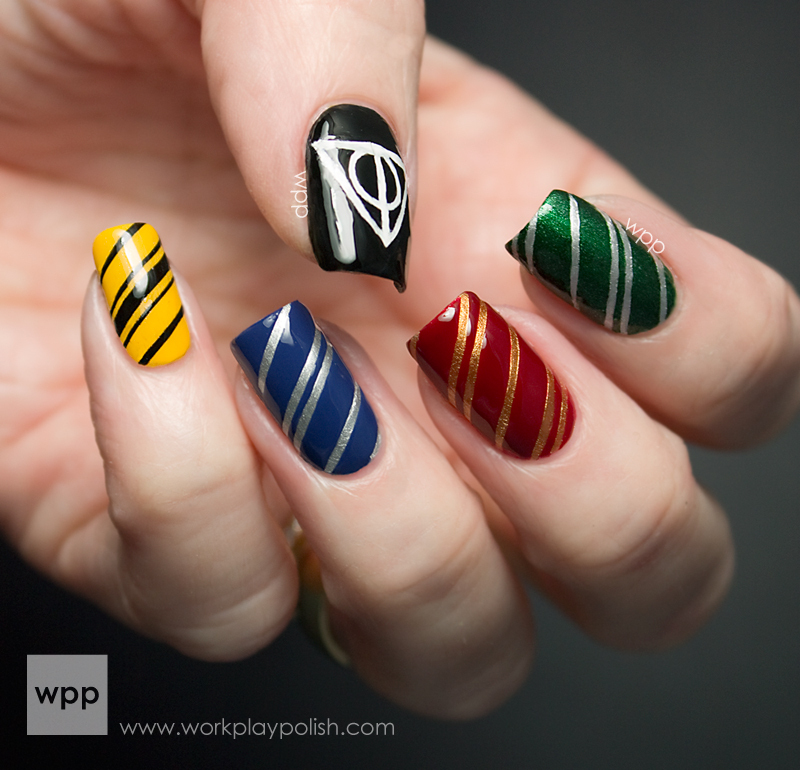 Sorry to say, I'm still not a Harry Potter convert...but I do like this mani! Don't forget to check out the rest of the geekiness from the Digit-al Dozen!